I bought these second hand from a rental shop in Banff. 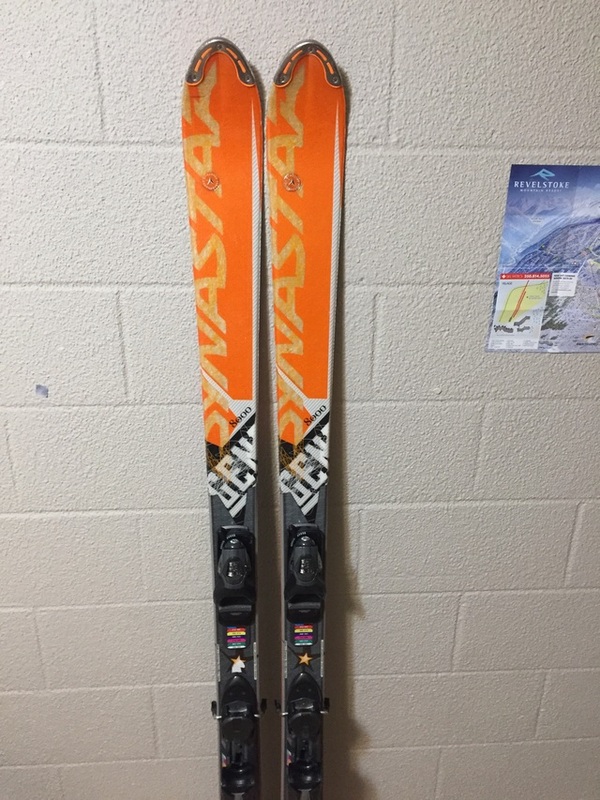 My brother skied on them for a week whilst visiting me in Revy and now they need a new home. They’ve been well looked after so bases and edges are in great condition. The Dynastar Legend 8000 Skis are built for the expert skiers dreaming of freedom and looking for a strong, performance tool for all mountain adventures. The Dynastar Legend 8000 is made with a wood core and titanal sandwich construction, LGD base and Autodrive SD technology. You will find this ski to have great fluidity and floatation for it size. The hull shaped tip provides natural piloting and fluidity for the advanced to expert skier. The Dynastar Legend 8000 are paired with the Look PX 12 Lifter Bindings. The PX 12 Lifters have a 6.5mm lift in the heel and 6mm in the toe. The slight lift will help you lay down incredible turns.